It’s over four months ago since we last hooked you up with a bunch of “Danish-soaked” remixes where at least one part of the whole creation is by one or more Danish artists. And much has happened since! 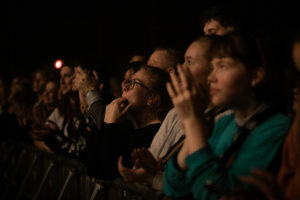 Remixes of some of our favourite artists’ tracks have popped up, which not only turned the past icy winter weeks real sparkly but also made dancing in woollen socks to our new favourite indoor-activity. Since we want to give you the chance to satisfy your potential desire for dancing, we put together another recap of seven exciting remixes that were released since last time. And again: if a cool one is missing, make sure to drop us a line in a comment! 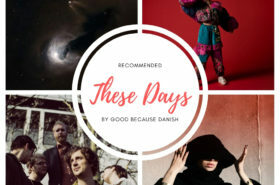 If you follow Good because Danish, you know we love Blaue Blume – like basically everyone else who ever gets around listening to their magical take on music. The super-cool Copenhagen duo Furns managed to sparkle another kind of ambient, musical magic over “On New Years Eve”. hafendisko has once again released a whole remix package of an awesome Danish song – this time with the title single of Jacob Bellens‘ recently released album “Polyester Skin”. Even though the original already makes me want to tap my toes, Berlin based Max Power made it danceable in a total different level by putting Jacob’s vocals into an 8-minutes-long house-wrapping. The Attic Sleepers always meant atmospheric, soothing and hands down beautiful music to me. 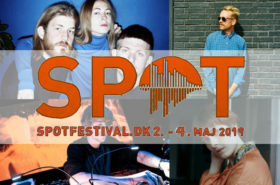 The known Danish DJ and Producer Morten Hampenberg turned “Airport” into a refreshingly danceable, almost exotic house tune. 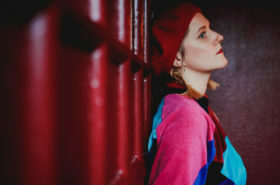 With her spacey, obscure remix “for outerspace men” of fellow femme fatale Forde’s “Cloudy Blue”, Aarhus-based electronic producer Vakle proves how cool girls really are. It’s clanging, it’s disturbing, and oh so intriguing! Can’t wait for more of her original work. 23-years old producer Moglii literally morphed the super-smooth track “Somewhere” by Danish age-mate Sekuoia into a fine, fine piece of bubbling, hypnotising, organic electronica. Whatever Kasper Bjørke touches turns into something good. Reeeeeeaal good. His 7-minutes-long version of Colder’s dark track “Your Kind” radiates some particular sort of urgency, gaining more and more speed until it evaporates echoing back into space. The smooth, buzzing remix by California’s Sad Money accents the mesmerizing features of Kill J‘s “You’re Good, But I’m Better” and turns it into a contemporary Siren song.